Those who know me closely will know that besides my passion towards digital technology and app development, I’m particularly interested in: music, entrepreneurship and approach to life. These three put together, make up the “lens” through which I see the world and something that really caught my eye is the amazing story of a band called Genesis and their two former members. Unless you’ve been living on a different planet, you’ve definitely heard hits like Land of Confusion, Invisible Touch, Sledgehammer, In the Air Tonight, I Can’t Dance, Follow You Follow Me, Mama. The reason I’m writing this is because life is hard. Really hard. For you and me, and for these guys too. You’ve probably never heard about what they went through. It’s easy to look at success and not notice the hardship behind it. Personally, I find this story and their approach very inspiring, so I’d like to share it with you. 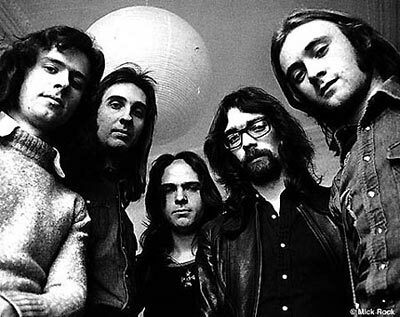 Genesis formed in 1967 in Surrey, England. Primary members Peter Gabriel, Tony Banks, Mike Rutherford were 17 year old students at the time. You can imagine that the early stages of Genesis were much like any teenage garage band you can find – poor song writing and musicianship, no performance skills. Jonathan King […] did give us a fantastic opportunity. Because in those days, in England, you couldn’t get in the studio […] to get any sort of record contract, was really magical. The album doesn’t sound like anything else they later recorded. The band parted ways with King, went its own musical direction and continued playing live. Their music was hypnotic, dark and haunting. Finally they signed with Charisma Records and recorded Trespass. In 1970 Phil Collins joined the band to play on drums. Genesis was becoming popular, but amongst the critics the opinions were mixed. Q Magazine has a description of a 1977 cartoon which shows asleep or comatose fans watching a live performance and a banner on stage reading “GENESNOOZE“. You have to note that at the time – the punk movement was on the rise. The band later released albums: Nursery Cryme, Foxtrot and Selling England by the Pound, which contained I Know What I Like (In Your Wardrobe) and became their first charting single, reaching #17 on the UK singles charts. The album achieved a “Gold” sales certification in USA, France and “Silver” in the UK. In 1974, they recorded a double album The Lamb Lies Down on Broadway and embarked on a world tour playing 102 shows! Things got big for Genesis, but then life hit Peter Gabriel… hard. Tensions were high during The Lamb Lies Down on Broadway. The band was frustrated with Gabriel’s focus on theatrical performances rather than the music. He also did most of the lyrics on the latest album, which seemed unfair, since the band always shared that responsibility equally. Gabriel’s personal life also got complicated after his wife’s difficult pregnancy and birth of first child Anna-Marie. He opted to stay with his sick daughter and wife, instead of recording and touring, which didn’t help the resentment of the band. 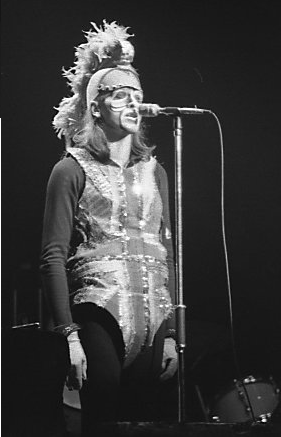 Peter Gabriel had to leave Genesis in 1975. After difficulties and abandonment, Peter carried on and in 1977 he recorded his first solo album, including the song Solsbury Hill, which was inspired by his departure. The single was a Top 20 hit in the UK. The first 4 albums were untitled, but due to the artwork – are codenamed: Car, Scratch, Melt and Security. His solo career was evolving, but times were still tough. Low on funds, he asked Phil Collins to play drums for free. In 1982 he reunited with Genesis for a one-off concert in order to recoup debts after the first WOMAD concert – an arts festival founded by Gabriel. Almost 10 years after Car, Peter Gabriel released So, which achieved #1 album and triple platinum in the UK, five times platinum in the US. The album contained songs like Sledgehammer, Don’t Give Up — a duet with Kate Bush, In Your Eyes (featured in the John Cusack film Say Anything). The famous video for “Sledgehammer” won nine MTV Video Music Awards in 1987, a record which still stands and is the most played music video in the history of MTV. So think about this: after 8 years of creative work and friendship, everything you’ve been doing since you were only seventeen – your career and friends suddenly disappear. You’re in a poor financial situation and have a sick family. How much grit do you have to have to continue? All failures aside, Peter Gabriel has won six Grammy Awards and in 2008 TIME magazine named him one of the 100 most influential people in the world. After Peter’s departure, Genesis decided to keep going, but needed a lead vocalist. Even though Phil used to sing back-up vocals, he was still primarily a drummer. The band auditioned over 400 candidates, but after a fruitless search they gave up and Collins became the group’s new frontman and lead singer. A Trick of the Tail (1976) was the first album to feature Collins as the lead and it was a hit. It also helped the band to pay off the $400,000 debt! The album remains one of my personal favourites, due to it’s focus on the intrumental pieces (check it out, it’s so good). After Wind & Wuthering album, Steve Hackett left Genesis, but the band continued and recorded …And Then There Were Three…. Before recording Duke, Collins took an extended leave of absence to save his first marrige. Ultimately he divorced Andrea Bertorelli in 1980, after she started an affair with their painter and decorator. Collins later appeared on the BBC’s Top of the Pops singing “If Leaving Me Is Easy” with a pot of paint and brush positioned on his piano. His first solo album Face Value opens with the dark and mysterious song In the Air Tonight, inspired by the unfortunate first divorce. If you hear someone say “Turn your misfortune into an asset!” – you probably won’t appreciate it, especially when feeling down, but yet again with grit, passion and persistance – good things happen. Genesis moved to Phil’s apartment and composed Duke. The next 4 albums after that were even more successful. Collins was married and divorced three times. He was married to Jill Tavelman from 1984 to 1996, paid £17M as final settlement. Third wife Orianne Cevey 1999 to 2008, received £25M in settlement. In 2009 it was reported that Phil cannot play drums after an operation to repair dislocated vertebrae in his neck. There isn’t any drama regarding my ‘disability’ and playing drums. Somehow during the last Genesis tour I dislocated some vertebrae in my upper neck and that affected my hands. After a successful operation on my neck, my hands still can’t function normally. Maybe in a year or so it will change, but for now it is impossible for me to play drums or piano. I am not in any ‘distressed’ state; stuff happens in life. After three expensive divorces and health problems, Collins is surprisingly optimistic. In interviews he always states that he’s moved on from Genesis and rock-star life. While some people may see his situation as tragic, this is actually an opportunity to stay near his children and start a second life. Collins’ total worldwide sales as a solo artist, as of 2000, were 150 million (he’s one of only three recording artists along with Paul McCartney and Michael Jackson who have sold over 100 million albums worldwide both as solo artists and as principal band members). He won seven Grammy Awards. During the 2007 tour, Genesis performed in Rome’s Circo Massimo in front of 500,000 fans. The setlist included several songs from Duke. You could take each of these horrible events and narrate them as a nightmare coming true, and it would feel very right to do that. However, even though that’s our usual reaction, what is the point of it? When life hits you, lose the pessimistic narration and focus on what you love, and your passion. You can’t see what really lies ahead – try to imagine how Gabriel’s life must’ve felt right after leaving Genesis or how Phil must’ve felt when his first marrige was falling apart. Listening to their songs there is no doubt that the emotional impact of these events was powerful, but can you think of what would happen, if they didn’t keep their grit? It really is your choice. You can keep focusing on the disappointment and pain or you could try dealing with failure just like Collins, Gabriel, Banks, Rutherford and Hackett – just keep playing… whatever your song is. Credits: many facts quoted from Wikipedia, links included in context. * – “Los Endos” is the closing instrumental piece on “A Trick of the Tail”. After months of extremely hard work, brilliant cooperation, risky innovation, it’s done. It’s hands down one of the best apps out there for the iPad right now and serves as a banner app for tablet education in general. Brian Cox’s Wonders of the Universe is literally one of the best iPad apps I’ve ever encountered. I’ve never seen such good reviews of an iPad app. I’m absolutely stunned. I’d like to thank everyone who was involved in the project and everyone who gave use this amazing feedback as well. Cheers!